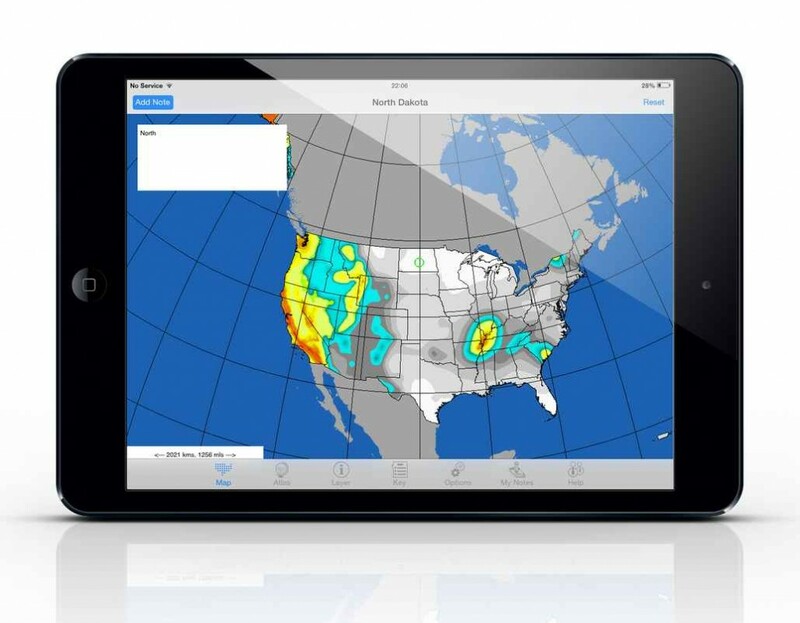 With the new application US Atlas for iPad and iPhone, discover Geology around you. Fantastic tools for professionals and students. Generate Map from one or more units of the legend. No Need for WIFI or Data Network, all the data saved in your device. You can calculate distance between two points and the area of a polygon. I 46 layers of information. 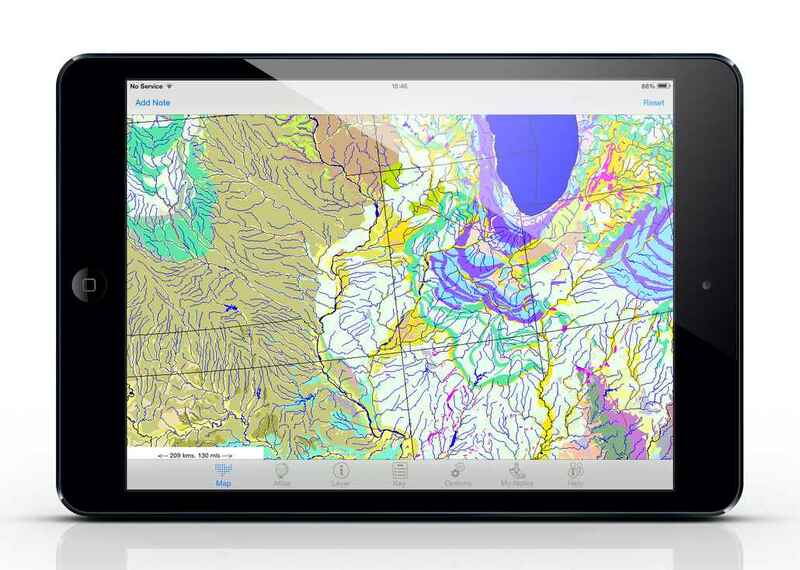 II Included also, Detail Geologic map (1:500,000 or Larger) of 48 states. III Both Mercator and Lambert Equal-Area Projections. IV No Need for WIFI or Data Network, all the data saved in your iPad. V Generate Map from one or more units of the Legend. VI GPS Capability. Location on the ground is known. VII Units can be identified by long tap on the screen. VIII Unique, Fast, Reliable and easy to use. IX Education Discounts, Normal Price only $4.99. X The application runs on iOS 7 or later. XI About 500 Mb data to download. XII Add your notes, edit and save them on the map. XIII The distance between two point can be calculated. XIV The area of a polygon can be calculated. 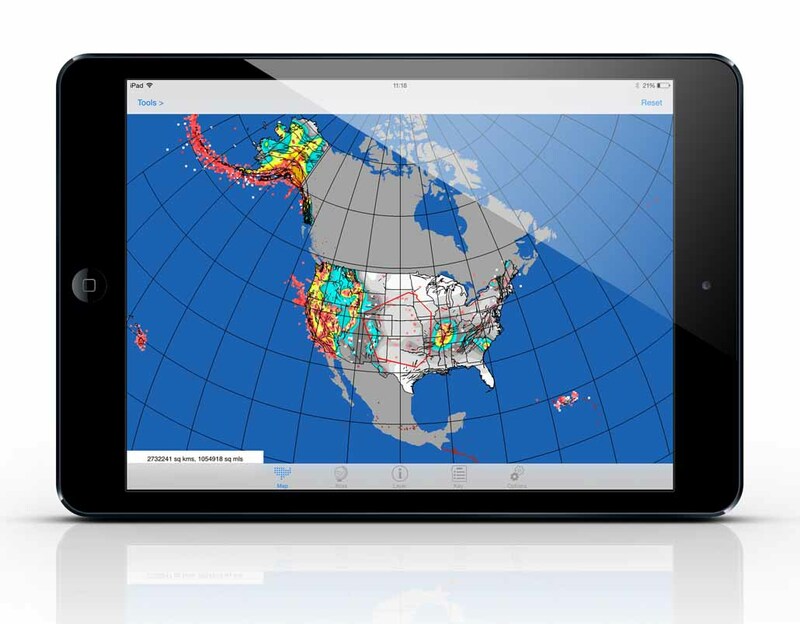 XV US ATLAS works on iPad and iPhone. Few images of the gallery. Some of the reviews and ratings from customers who have tested our application. 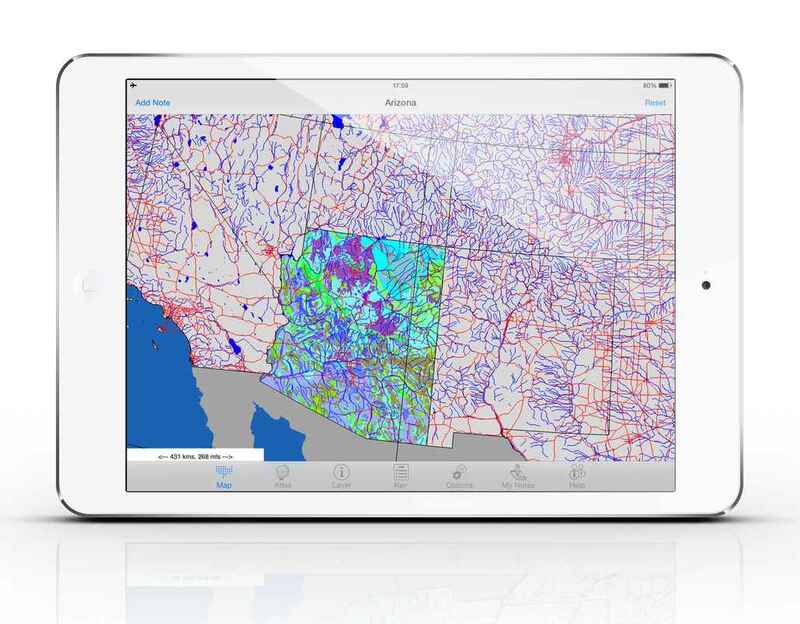 Already use Mancos and the Geograph series for more local geological info. This is a broader view and very flexible for dataset selection. The UI needs a bit of work. We were not able to zoom into eg Utah, bouncing between California and the Arctic circle. Suspect the UI will improve and so 5 stars for sure. Fantastic System, better than what I was waiting for!. Hard to believe in this day and age you can have a great system like this for only $4.99. The vast amount of information, great features, easy to use and very fast. Now that USGS removing The National Atlas website, this is only option to have all those layers mapped on the iPad. In fact this have advantages because you have the GPS and no need to have access to Data Network, means you can take it with you to the field and do your project. I like it very much and recommend it students and professional.. Very user friendly with plenty of functionality. Provides relevant statistics that can easily be analyzed. Interface is very clean and simple. Layering function a huge plus that gives users the ability look and analyze multiple data points. Offline GPS is a great as well. 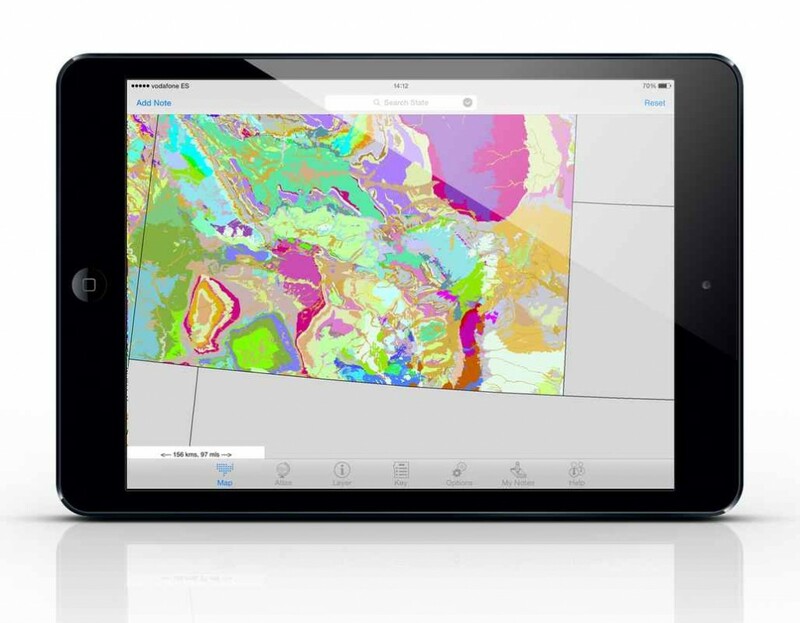 This is an excellent companion app for geology students. There is no other app like this with this amount of information and at this price. Good data and unique features. 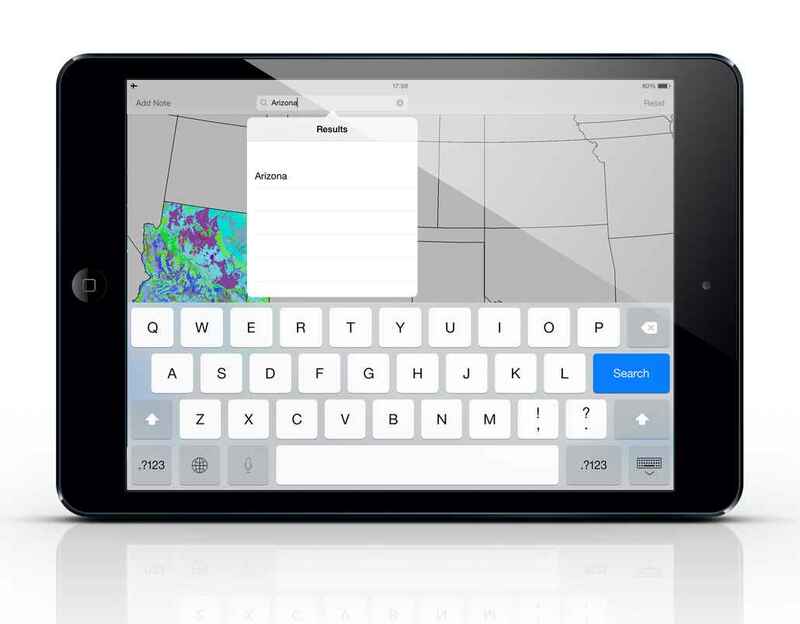 You can make any map by selecting geological units you are interested. I give it 5 stars. © 2014 US Atlas. All Rights Reserved. The National Atlas of the United States®, is the registered trademark of the United States Department of the Interior.